Did you pick the Bush-Era Tax Cuts? Then you’re absolutely right! 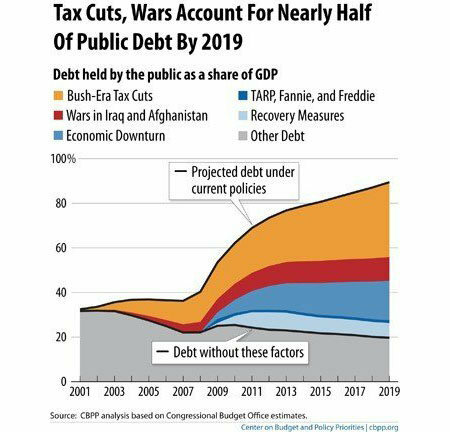 Unlike wars, downturns, bailouts and recoveries, we can project the direct financial effect of tax cuts before the fact. Everything else on the subject is speculation. At this point, that there is still a debate about it at all points to much deeper problems. At long last, evidence that Earth is not a completely hopeless loony bin.